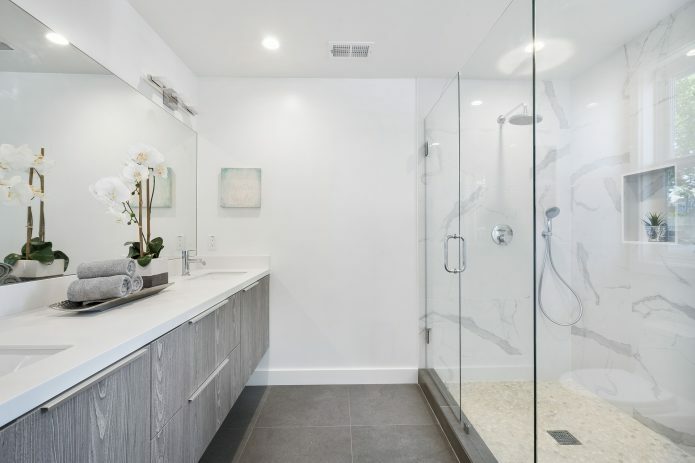 Here are some bathroom remodeling features to consider; not just for increasing the appeal of the room, but to increase the overall value of your property. 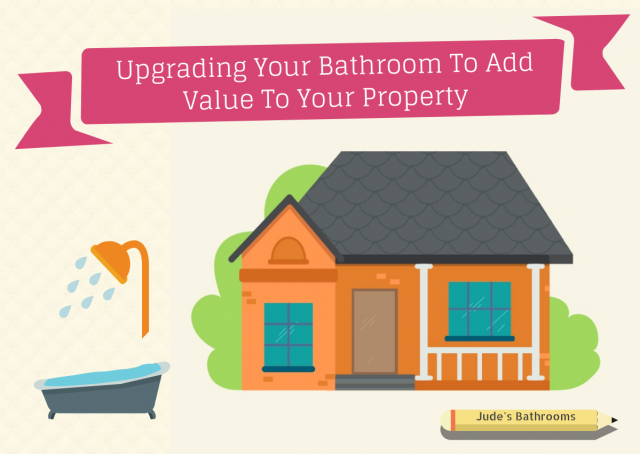 A bathroom renovation or upgrade can significantly increase the value of a home to potential buyers. Once an overlooked room in the house, the power of an updated bathroom should be an essential consideration if you are attempting to add value to your property. The recent popularity of renovation and reality television shows has increased the visibility of the overall effect of a well executed bathroom rejuvenation. Bathrooms are one of the areas in a home that buyers and tenants are drawn to. These days there is a high demand placed on having a bathroom that is modern, practical and clean; as well as featuring stylish fixtures and fittings. Whether big or small, bathrooms are an essential part of any home so it is important that any renovation or upgrade is done correctly and meets functional as well as aesthetic demands. The importance of a carefully planned bathroom upgrade is not lost on the experts at Jude’s Bathrooms. 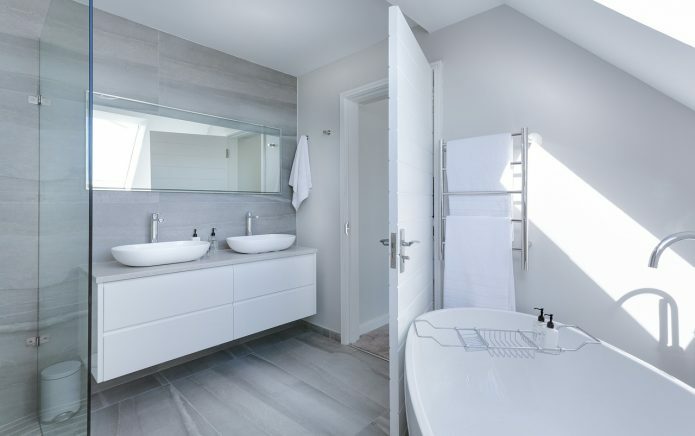 Our team are highly experienced in quality bathroom design and renovation, and will help you create a room that is both stylish and functional. If you are contemplating upgrading or renovating your bathroom, here are some features to consider; not just for increasing the appeal of the room, but to increase the overall value of your property. Lighting creates a desired mood and accentuates the style of your bathroom, as well as being vital to the practicality of the room. Where possible, increasing the amount of natural light in a bathroom through the inclusion of windows and skylights improves not only the lighting, but also air circulation in the room. With the help of electrical contractors, general and task lighting can be installed to provide key accents in the bathroom; creating a bright and even light that is practical, stylish and helps make the room feel larger. 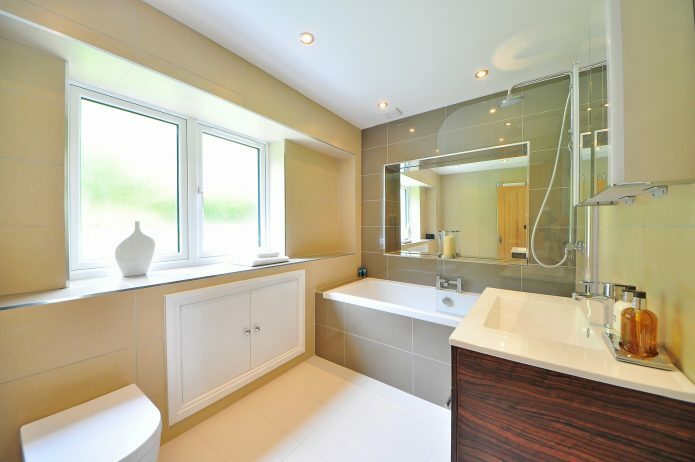 A large bathroom with a well-planned layout is a great way to add value to your property. Where the size of the room is limited, it is important to correctly design your bathroom so that you maximise on space. If physically increasing the size of the room is not an option, consider features that can help to make the room seem bigger than it actually is. These days, many homes are opting for large showers in place of a bath, in order to maximise space and add a luxurious touch. For example, simple improvements such as replacing a bathtub with either a frameless or glass screen shower, complete with one or more modern shower heads, can give the appearance of more space whilst adding an element of luxury to the room. However, it is important to consider potential buyers and tenants when designing your bathroom renovation, as it is generally recommended to feature at least one bathtub in the house – to appeal to families with young children. Where space permits, the addition of a second basin is a simple feature that helps to create a feeling of luxury in the bathroom. Allowing for simultaneous use by multiple people, a double basin adds a stylish element to the room at a relatively small cost. Storage is key in any bathroom, and maximising the amount of storage means less clutter in the room; creating a cleaner look that helps to give the perception of increased space. When you are planning any bathroom upgrade or renovation, always consider vertical space as well as horizontal. There are endless possibilities of custom drawers and cabinetry available to make efficient use of even the smallest and most awkward spaces in a room. There are multiple heating options available to incorporate into a bathroom upgrade or renovation. Since a well-heated bathroom becomes instantly more attractive (particularly in winter); underfloor heating, heated towel racks, wall mounted heaters and combination fans are all options for adding a heating element to a bathroom, to help increase its appeal and value. Proper planning combined with the help of electrical contractors is essential in safely installing heating options, where they will be efficient and practical whilst remaining aesthetically pleasing. The power of a carefully selected colour scheme should not be underestimated, as colour plays an important role in achieving your desired look and feel. A clever and well planned combination of wall, tile and fixture colours will help to highlight key features in any bathroom and create visual interest. This helps boost the value of the bathroom and, therefore, the property itself. 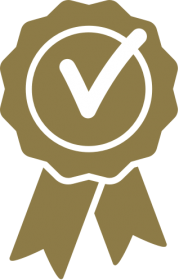 The ability of a successful bathroom upgrade or renovation to increase the value of your property is a well-known fact, however, your personal preferences may differ from what is a reselling hit. Many people find that it can be extremely beneficial to hire a professional bathroom renovation contractor, to guide you through the process and help get the most value out of your upgrade. The expert team at Jude’s Bathrooms are highly experienced in designing and creating high quality, affordable bathroom renovations of the highest standards; creating bathrooms that are not only practical and functional, but have a feeling of spaciousness and luxury too. We can help to make your bathroom instantly more appealing, adding to the overall value of the entire property. 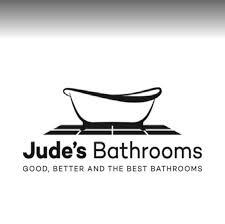 Call the team at Jude’s Bathrooms to speak to one of our design experts and start planning your bathroom upgrade today!